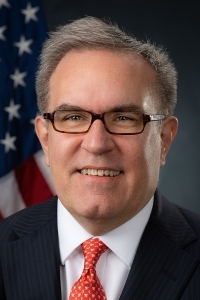 The Sierra Club announced Wednesday that it began running Facebook ads encouraging Tillis to vote against the confirmation of Andrew Wheeler, a former coal lobbyist and a former staffer to the Senate’s leading climate change skeptic, Oklahoma Republican James Inhofe. Wheeler — who has been EPA’s acting administrator since former administrator Scott Pruitt resigned last year amid a flurry of ethics investigations — is expected to easily win confirmation in the GOP-led Senate. Melinda Pierce, federal policy director at the Sierra Club, accused Wheeler of bending “to the demands of big polluters” at the helm of the EPA. Tillis voted to confirm Wheeler as EPA deputy administrator in 2018, and he isn’t expected to break ranks with his party to oppose Wheeler. Tillis did distance himself from the president this week, writing in an op-ed that he plans to support a resolution that would terminate Trump’s emergency declaration, which seeks to circumvent Congress to fund the construction of a wall along the southern U.S. border. The Sierra Club is also running ads targeting Republican Sens. Cory Gardner in Colorado, Pat Toomey in Pennsylvania, Susan Collins in Maine and Lamar Alexander in Tennessee. Click here to learn more about the Sierra Club’s North Carolina chapter.